The home page, with a quick photo-manipulation/digital painting I did. 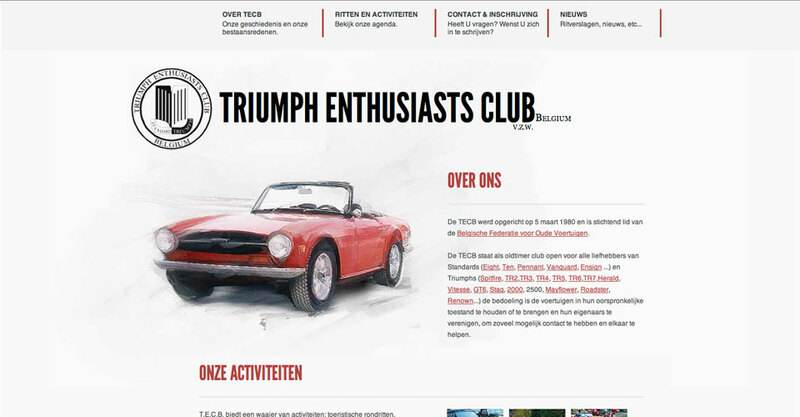 My parents and I have been a member of the Belgian Triumph Enthusiasts Club for over 10 years now (I own a lovely 1978 Triumph Spitfire, and my dad a 1975 Triumph Stag). When for some reason they lost their original website, I stepped in and quickly designed and built them this website.